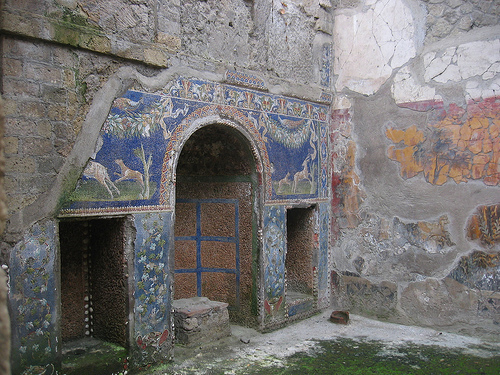 Ercolano was most likely founded by the Oscans, an Italic tribe of the 8th century BC, and later became part of both the Etruscan and Samnite dominions. Under control of the Romans, the city was a renowned seaside resort where some of the richest Roman citizens passed their summer vacations. After the 79 AD eruption of Mt. 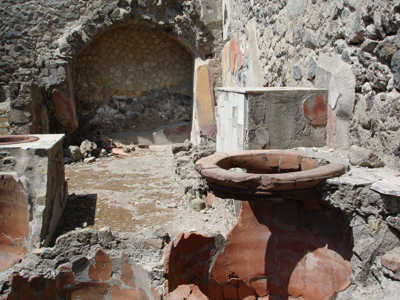 Vesuvius, the town was abandoned and remained largely uninhabited for about 1000 years. Unlike neighboring Pompeii, the citizens of Herculaneum were suffocated to death by poisonous fumes rather than buried under heavy ash. The town was partially buried under hot mud and remained so for those 1000 years. Records of rehabitation in the area begin to appear around the year 1000, when the sanctuary called Castel di Resina, one of the most visited in the Campania region, was recorded to have been located on a hill in that area. 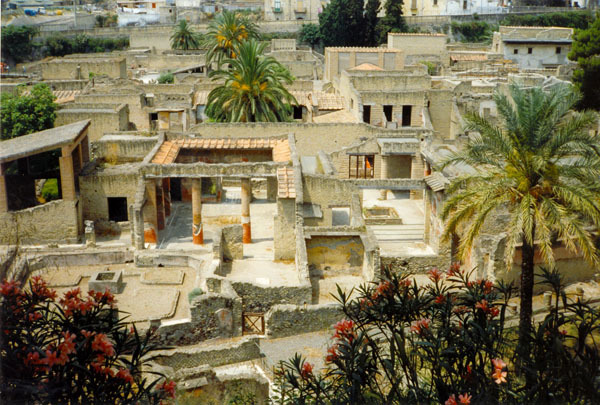 It is named after the Greek god Herakles.The area was largely repopulated over the next 500 years, creating the small town of Resina, named after the old sanctuary, with homes and neighborhoods being built above the uncovered ancient ruins of Herculaneum. 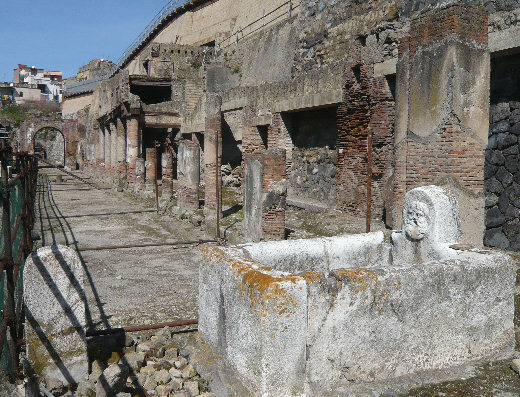 In 1709, the old ruins from around the time of the 79 AD eruption were uncovered along with nearby Pompeii. Since then, Herculeaneum has been entirely uncovered with all of its ancient riches and petrified inhabitants extracted. 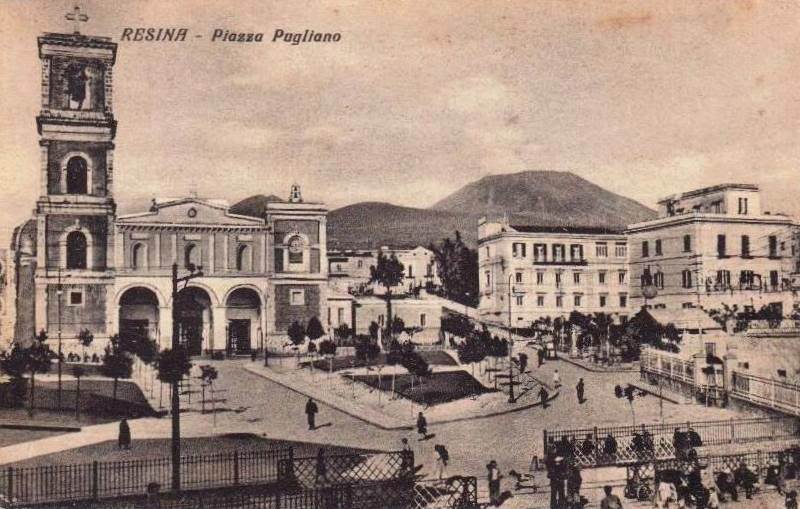 Over time, the town of Resina became part of the Kingdom of the Two Sicilies, up until the unification of Italy of 1861, and eventually became part of the metropolitan area of the city of Naples. In 1969, the town changed its name from Resina to Ercolano, the Italian modernization of the ancient name in honor of the old city. 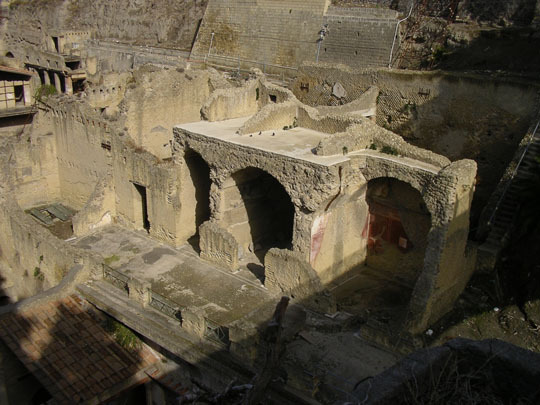 The digs began at Herculaneum in 1738, and continued using the technique of underground tunnels and exploratory and ventilation shafts until 1828, when the "open-air" digs were authorized, and carried out until 1875. 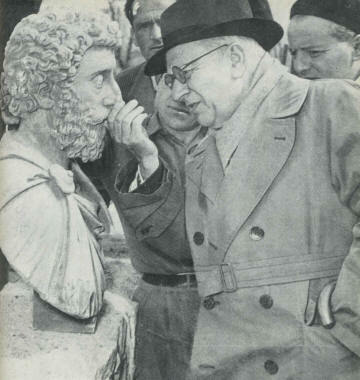 After a very long interruption, in 1927 Amedeo Maiuri began again the work , and continued to lead the digs until 1958, but already in 1942 about all the area, constituting the current archaeological park, was brought to light and contemporary restored and covered. Additional work was done between 1960 and 1969, in the northern sector of Insula VI and along the main street or "Decumanus Maximus", while the last twenty years have concentrated on exploring the ancient shoreline, corresponding to the southern most strip of the archeological area. In this area 12 rooms were brought to light. These were rooms (fornici) with arched entrances, shelters for boats and warehouse, where many people took refuge escaping from the eruption. In this area it was found the wooden boat, now placed in a pavilion adjacent to the modern offices of the Soprintendenza and the Antiquarium, waiting for a complex work of restoration. In 1991 a program of excavation for bringing to light Villa of Papyri started. Carlo Weber discovered Villa of Papyri in 1750 by chance. He excavated the Villa through underground tunnels and accurately surveyed it. The intervention was possible thanks to extraordinary funds allocated on the basis of the 64/1-3-1986 Law. In 1991 following an agreement between the "Ministero per I Beni Culturali e Ambientali" and the "Agenzia per la promozione e lo sviluppo del Mezzogiorno", the project was given in concession to a Temporary Association (A.T.I.). The New Excavation was concentrated at the western side of the modern Vico Mare and is connected to the archaeological park through a narrow and deep trench, starting from the House of Aristide and continuing through a gallery beneath Vico Mare. 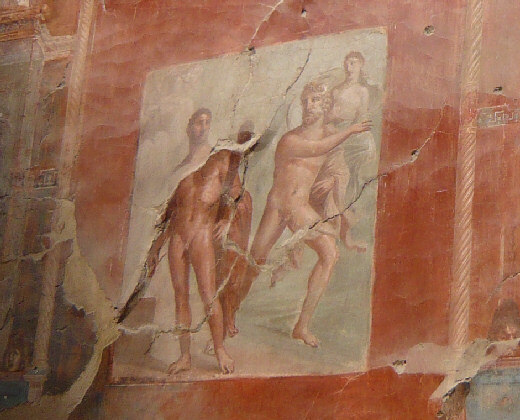 In reality, only the atrium of the Villa was brought to light, as the remains of the luxurious residence are under some properties not expropriated yet. In the eastern section of the excavations a great building and the south-western extremity of the city, were brought to light. This part of the city included some houses and a thermal complex with an apsed nympheum. Because of the collapse of the ancient coastline, after the eruption of 79 A.D., a system of water pump takes continuously control of the water layer.